Joe Dorish Sports: What Famous 'Die Hard' Actor and Professional Baseball Player Died from Mesothelioma? Did you know that one of the famous actors from the cult classic movie "Die Hard" died from Mesothelioma? Do you have any idea who the famous actor from "Die Hard" who died from mesothelioma is? Before he became an actor he played professional baseball for a couple of years. The famous actor from "Die Hard" who died from mesothelioma was born in Jersey City, New Jersey, in 1939, and grew up in Miami Beach, Florida. Before he became an actor he was a great athlete who played college football at Florida State and played minor league baseball for two seasons. In addition to "Die Hard" the famous actor also starred in many other movies including a famous teen cult classic and he also starred and guest starred on many famous TV shows. You may not immediately recognize his name but you will remember him from his roles from "Die Hard" and the teen cult classic movie he starred in. The famous "Die Hard" actor who died from mesothelioma is Paul Gleason. Gleason played the role of Dwayne T. Robinson, the Deputy Chief of Police in Los Angeles who had many cantankerous scenes with Reginald VelJohnson as Sgt. Al Powell in person and with Bruce Willis' character John McClane on the radio. At the end of the movie Gleason has cantankerous scenes with Bruce Willis in person too. 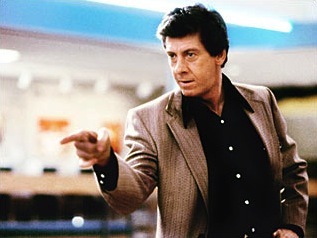 In addition to "Die Hard", Paul Gleason also starred in the teen cult classic "The Breakfast Club" as Assistant Principal Richard Vernon. That is the role most people remember Paul Gleason for and he won a Silver Bucket of Excellence Award from MTV in 2005 at the MTV Movie Awards for his role as Assistant Principal Vernon. Paul Gleason also starred in other movies like "Trading Places" where he played Clarence Beeks the Duke brothers insider commodities trader in the Eddie Murphy and Dan Aykroyd comedy hit. Gleason also guest starred on many TV shows like "Seinfeld", "Friends", "Malcolm in the Middle", "Cagney & Lacey", "Magnum P.I. ", and "Dallas". On May 27, 2006, Paul Gleason died from pleural mesothelioma at 67 years of age. When he was a teenager, Paul Gleason worked with his father at a number of construction sites and that is where it is believed he came into contact with and was exposed to asbestos.